PowerPro is the world leader in braided fishing line. We sell more PowerPro Spectra in the store than all other manufacturers combined. 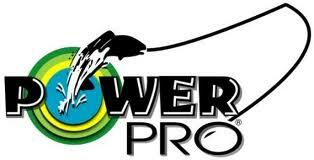 Anglers love fishing with PowerPro because it is thin, strong, casts well and is available at a fair price. PowerPro is also extremely reliable braid. We sell thousands of spools every season and I can count on one hand the number of returns we have had. PowerPro is available in original, Super Slick, and Hollow Ace. If you fill your fishing reel with PowerPro braid, not only will you get all the advantages of braided fishing line, but it lasts longer than mono. If you take care of your PowerPro it will last you several fishing seasons!